Primers may be your new best friend. If your makeup keeps melting off your face in this heat, then you may be looking into primers as a long-lasting option. But do they really work? We asked Landy Dean, makeup and eyebrows expert at Marie Robinson Salon in New York, for his thoughts, favorites, and how to use a primer properly. First thing first: Primers—do they really work? Primers can make a difference on some skin types by smoothing out texture and color, controlling oil, and gripping makeup so it lasts longer. I like to use a little primer with a sheer foundation or a BB cream, creating my own finish. I need that—melting over here! Where do I start? Because primers add a layer and hold makeup, they can also give makeup a heavier look if too much is applied, so experiment to find the right amount. 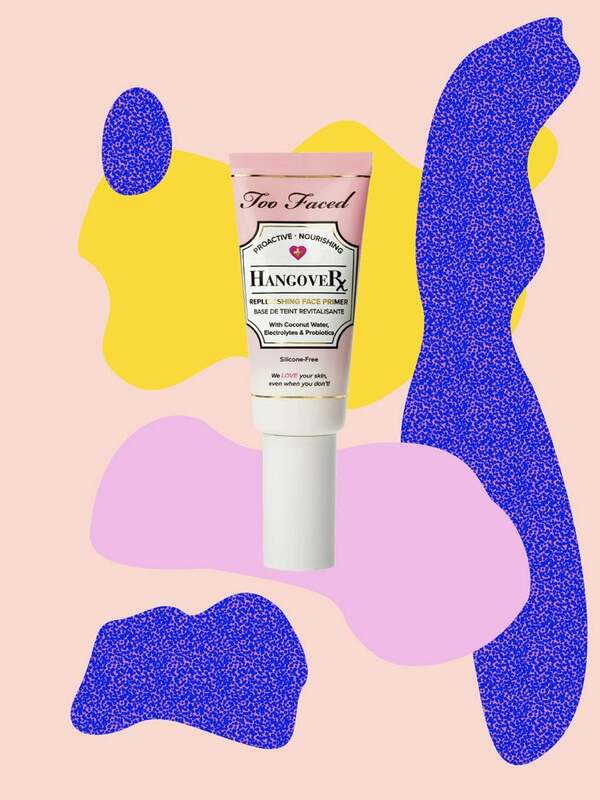 I like Too Faced Hangover Face Primer ($32). It feels like a primer mixed with moisturizer. It refreshes the skin and helps hold makeup. Laura Mercier Radiance Primer ($22) is great to give a little reflection to the skin underneath a sheer matte foundation or is great on its own, but use sparingly—it’s beautiful but shimmery. Not necessary if you find the right foundation and moisturizer for your skin, but it can be great to fix makeup for a long day or night. If you are oily, a formula for oil control can really help. I like to use one that sets and gives a little dewy glow like NYX Dewy Finish Setting Spray ($8). Also, an Evian Facial Spray ($15) can be lovely as a setting spray too. Mist your face in an “X” pattern—usually two sprays works well. We can’t forget about setting powders too. I would recommend a little powder to keep concealer in place and on areas of the face that get shiny, then mist with a setting spray for more longevity. I use a very lightweight powder to set foundation or concealer as needed. My favorite under eye powder is Nars Light Reflecting Setting Powder ($37). It’s almost completely transparent, with a little sheen that looks like skin and not too matte. For the face, I like Make Up For Ever Velvet Finish Powder ($31)—very sheer and a great color range for all skin tones. Hey, look, we have a few editor favorites, too. I am (coco)nuts for this one. Formulated with five forms of coconut (including water, juice, and pulp) to form a natural, vitamin-rich primer that allows skin to breathe easy. First and foremost, bonus points for a clever name. And then additional points for this formula that both controls shine through the day, and diminishes the look of pores instantly and over time. Celebrity makeup artist Monika Blunder collaborated with (angelic human being) Dr. Barbara Sturm (p.s. check out her wellness-focused home here) to create a hydrating (hyaluronic acid gives intensive moisture), anti-inflammatory (purslane calms the skin), and anti-aging primer that boosts the quality of skin and maintains a flawless foundation for makeup.